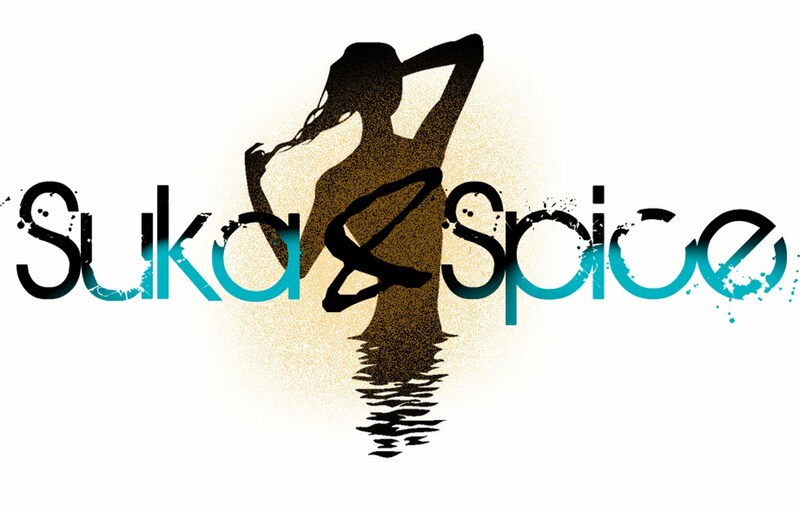 Suka & Spice™: I Now Have a Flat Top! I Now Have a Flat Top! I have a thing for makeup brushes. I'm always on the hunt for one that is soft (also read: doesn't feel as though you're using a steel wool pad to blend your blush), versatile (well look at that--you can use it for bronzer and regular powder), and high quality. The idea of having to buy the very same brush over and over would drive me up the wall. All I'd do is continually calculate how much money I was wasting by chasing a deal...and well, you get the picture. For months I've walked past the Sonia Kashuk aisle at Target and marvelled at a certain brush that is constantly on her display. The Sythentic Flat Blusher Brush is possibly the softest makeup tool I've ever played with. A few weeks ago, I gave in and made the purchase--which, at $14.99 isn't a huge sacrifice, but has turned out to be a very worthwhile investment. 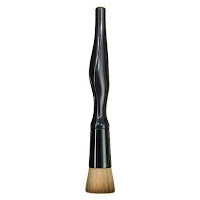 Not only does this flat-top brush deliver totally creamy and blendable results with blush, but it can also be used to apply liquid foundation, bronzer, and regular face powders (I love it with my Iredale mineral powder). When used in a circular buffing motion, it's almost impossible to not end up with a completely airbrushed effect. The ergonomic handle sets itself apart from all of my other boring brush handles, and falls nicely into the grip of my hand. Just one brush, you say? This is the one. will definitely have to try this one! thanks sister! love your blog!!! Canada and Japan, focused their attention on China, cheap christian louboutin but uggs outlet in fact ugg boots wider than the ugg australia self-discipline and strict to others. Air defense identification zone system began in the United States cheap jordans and Canada. Canada in the 1950s, followed by the Bags Louis Vuitton pace of ugg the wholesale jordan shoes establishment of the United States Air Defense Identification Discount LV Handbags Zone. Judging from the rule, Canada Discount Louis Vuitton but asked not to enter the Christian Louboutin Daffodile country via its cheap nike jordan shoes air christian louboutin defense identification zone ugg pas cher aircraft ugg soldes flight briefing information, Cheap LV Handbags and China is no different nature. Japan insists on Air Jordan 11 Gamma Blue the implementation of the so-called first Cheap Louis Vuitton Handbags Diaoyu Islands "nationalization", and then openly strengthen deployed around the christian louboutin remise 50% Diaoyu Islands. Diaoyu Islands are Chinese territory, the Japanese deliberately misinterpreted Christian Louboutin Bois Dore China 300 uggs on sale km away from the Diaoyu Islands in Nanji Island to build a base, but not their own self-examination at 170 christian louboutin shoes kilometers from the Chinese island of Yonaguni island strengthen what is wrong discount nike jordans with the deployment discount christian louboutin of the SDF.